Well here they are! I'm proud of these stays, and I know Lauren the Silhouettist will also love them. Don't squeel about the metal grommets, they'll be covered in threads! All in all, a lovely and functional garment, now off they go to their anxious owner! Beautifully made and so cheerful too! Stunning work. 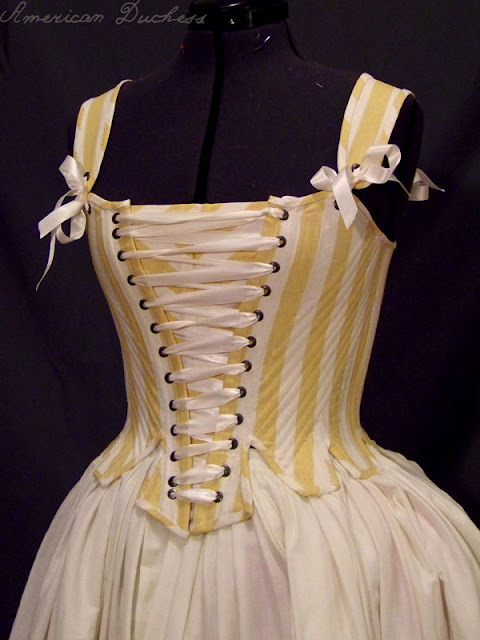 I can imagine that using striped fabric added to the challenge. Well done! 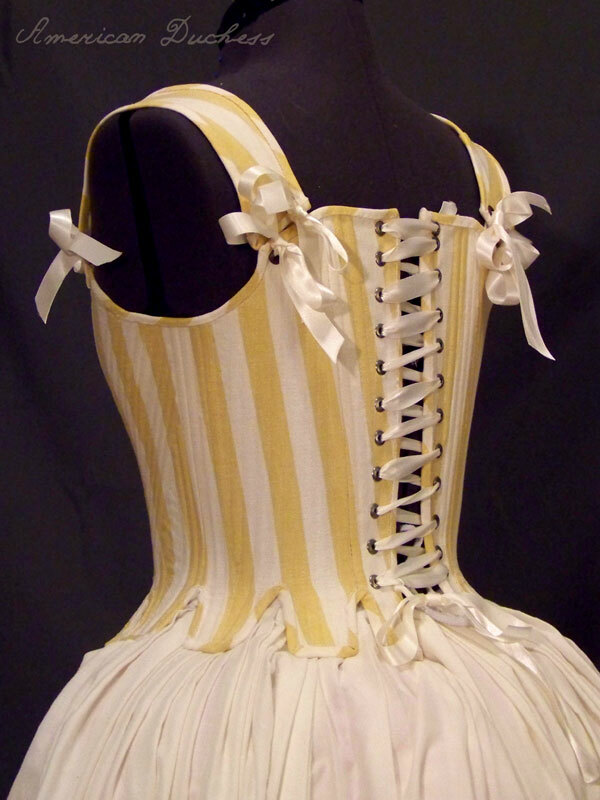 So pretty with the stripes and the fat ribbons! I don´t like yellow, I don´t like broad stripes... but these stays are absolutely great! !